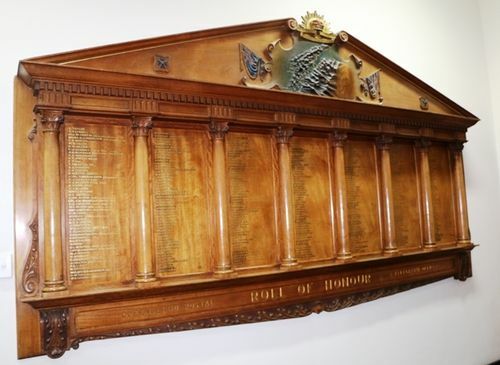 An honour roll commemorates postal and telegraph officers of Queensland who served in World War One. The honour roll is in two sections. A large roll in one room and a smaller roll in another.